Huawei has recently unveiled the Huawei Mate 20 series phones but that’s not the only thing the company unveiled at the launch event. Other than the new triple camera phone, the company has launched the Huawei Fast wireless charger. 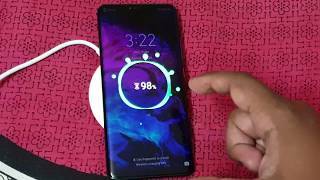 To learn more about this charger works and the Huawei Fast wireless charger Kuwait price, continue reading. A lot of people avoid wireless chargers as they believe wireless charging is not as fast as charging phones using wires. However, that’s about to change with the Huawei CP60 Wireless Charger. According to Huawei, users will be able to get 31% charge using this Huawei 15W Max Wireless charging when charging the Huawei Mate 20 Pro. Users won’t get the same results if they use 7.5W wireless charger or 10W wired chargers. Moreover, this will require using the original cable, adapter provided by Huawei along with the Mate20 Pro phone. We will be able to do some more experiments after the Huawei CP Wireless Charger 15W release date Kuwait. The charger looks quite similar to other wireless chargers but will be only available in white from what we have learned so far. For those of you who wanted a black one like most of the other wireless chargers, it’s slightly disappointing. What makes the Huawei CP60 Wireless charger different from other chargers is it’s 15W power rating. This rating is similar to the fastest Qi wireless charger available at the moment right now. Users will get a 40 W Max USB Type-A adapter and a 1m 5 A USB Type-C cable right out of the box which is faster than the current OnePlus’ Dash charging technology and the Super VOOC charger included with OPPO phones. This self-developed 15W quick wireless charge technology from Huawei is what makes this charger different from all the other available wireless chargers. Moreover, this wireless plate will support using any charging adapter that can provide 15W so users won’t have to carry Huawei’s charger everywhere. To make sure users can charge other wireless charge supported gadgets, the Huawei CP60 Wireless Charger comes with universal compatibility and follows Qi standard. It can identify earbuds, smartphones and other gadgets and adjust its output power accordingly to make sure the gadgets are charged safely. For now, we do know that phones like the Samsung Galaxy S9 and iPhone XS and iPhone XS Max can be charged with this wireless charger. We will be able to find out more after the Huawei CP60 Wireless Charger release date Kuwait. If you are using a phone case, don’t worry as this charger supports charging through non-metal phone cases directly that are not thicker than 5mm. The Huawei CP60 Wireless Charger is expected to cost around KWD 0 when it’s here. From what we have learned so far, the Huawei CP60 Wireless Charger release date Kuwait can be expected sometimes in November or December, 2018. For those of you who are interested to get this upcoming charger, you can start saving as you already know the Huawei Fast Wireless Charger Kuwait price. There is also the Anker Fast Wireless Charger and Samsung Fast Wireless Charger although these are not in the same price range as the Huawei Fast Wireless Charger 15W Kuwait price. The fast wireless charger (15w max) Docks, Batteries & Charger is manufactured by Huawei and was added around November 2018 and is part of the Huawei Fast wireless charger (15W MAX) series.